Thousands of American jobs are in a state of limbo, and Canadian Prime Minister Justin Trudeau just might be able to help save them. Eight hundred miles away from where he and U.S. President Obama are attending a state dinner in Washington Thursday night, Boeing employees at the defense contractor’s St. Louis manufacturing plant are waiting to see on which side of a potential deal with the Canadian military they will end up. Within days of taking office last year after almost a decade of Conservative rule, the Liberal Trudeau initiated a period of drastic change in Canada’s foreign policy as he ordered the country’s military to withdraw from the war against the Islamic State group (aka ISIS) in Iraq and Syria. As a result, Canada’s $8 billion deal to buy 65 F-35 Joint Strike Fighter aircraft from Lockheed Martin was thrown into question, with the country looking for a less expensive alternative, which includes Boeing’s F/A-18 Super Hornet jet fighters. But until Canada’s National Defense Department chooses which new jet fighter it wants, the future of Boeing’s employees in St. Louis is uncertain. Boeing has been on the wrong end of a number of defense deals in recent years, most notably losing out on an $80 billion contract to build the U.S. Air Force’s new B-21 stealth bomber and watching the Kuwaiti military sign a deal for Eurofighter Typhoon jets instead of its own Super Hornets. Together with the fact the Pentagon cannot promise it will buy Super Hornets past 2018, this means that Trudeau’s visit becomes all the more important for Boeing’s entire defense arm and its workers in St. Louis. But time is running out for Boeing. 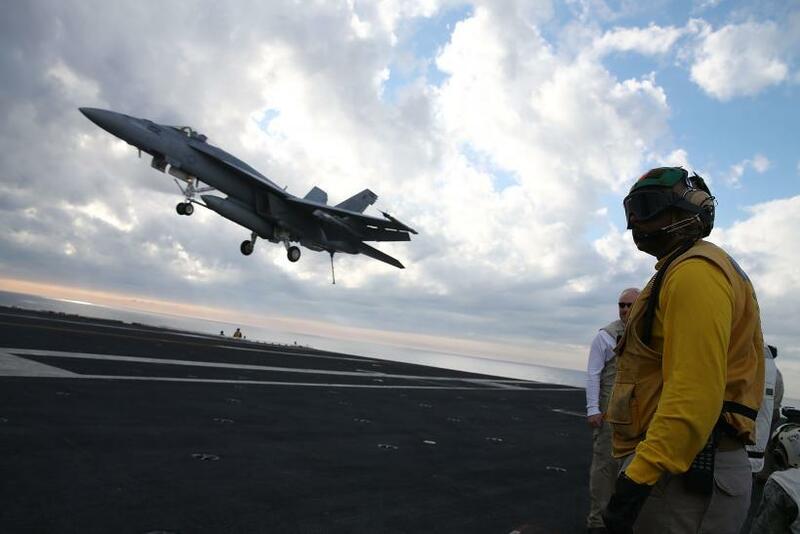 The company either has to get a firm offer to build new jets or self-fund the building of the Super Hornet to keep the production line open and save jobs in the hope that overseas deals do come eventually or the U.S. Navy is able to find money to buy past 2018. The current Pentagon plan is to buy two jets in 2017 and 14 in 2018. If the line closes, jobs at Boeing and hundreds of small subcontractors would be lost. Various media sources have indicated during the past few days that talks between Obama and Trudeau are to concentrate on the environment, trade and travel between the two countries. The Canadian Privy Council Office, described as a provider of “nonpartisan, public service support” to Trudeau and his cabinet, told International Business Times in an email Wednesday that it would not comment on the prime minister’s defense-related discussions with Obama. However, Andrew Hunter, director of the Defense-Industrial Initiatives Group at the Center for Strategic and International Studies, a Washington-based think tank, said the F-35 will definitely be a major topic of discussions between the American and Canadian delegations. 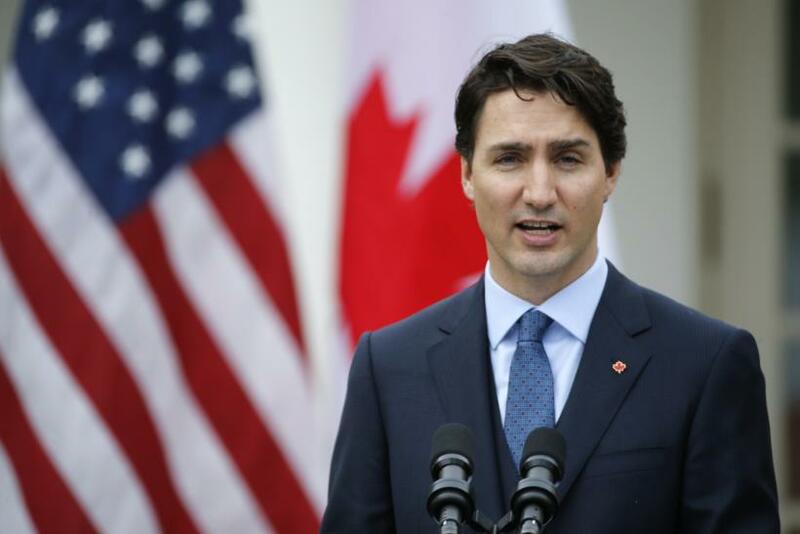 But in promising to cancel the F-35 purchase, primarily because he considered it too expensive and outside his vision of the country’s foreign policy, Trudeau said the Canadian Armed Forces would still need to replace its old Boeing CF-18s. It remains to be seen how the Pentagon and Lockheed Martin will react to Canada potentially pulling out of the deal. In such a scenario, it’s expected F-35 program costs for other member countries would increase immediately by about 1 percent per aircraft, which each cost between $85 million and $120 million. But another concern for the U.S. is interoperability and having its NATO allies using the same aircraft. Although the initial commitment to the F-35 was made years ago by Canada’s former prime minister, the Conservative Stephen Harper, Trudeau has used the controversial aircraft as a launching point to change Canada’s relationship with the U.S. and how it interacts in Iraq and Syria. Some of the associated changes have already been put into effect by the Canadian Parliament. In February, Trudeau ordered the CF-18s to stand down and come home no later than the end of March. And politicians in Ottawa voted Tuesday for a new mission that will involve training and intelligence gathering in Iraq and Syria instead, costing the country about $1.6 billion during the next three years. The new mission will triple the number of Canadian special forces in Iraq over the next two years, while boosting the number of general military personnel there to 830 from 650. While Canada’s military mission in the Middle East means little to either McDerman or his union members at Boeing, he did admit his interest in the country’s foreign policy had unexpectedly been piqued recently because of what the nation’s decision about the CF-18 replacements would mean to the people he represents. “We really have one of the best fighter jets in the world right here in St. Louis and some of the best people building it,” McDerman said.